If you are looking for the perfect poster for children and adults alike who are looking to learn about the flags of the world then this colourful chart will help you on your way. 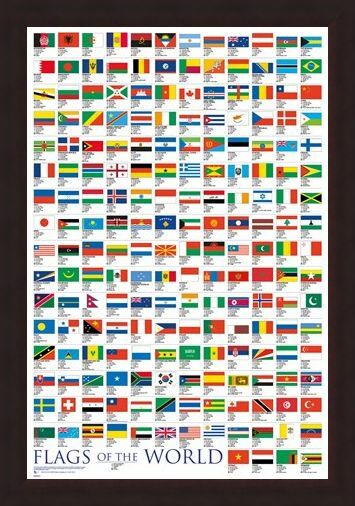 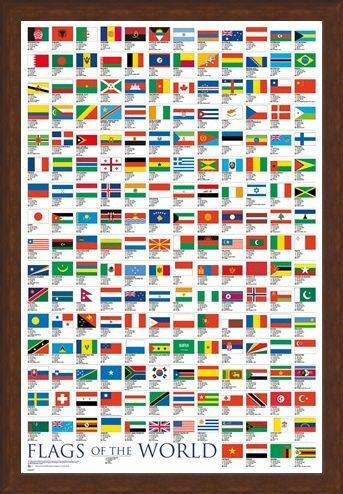 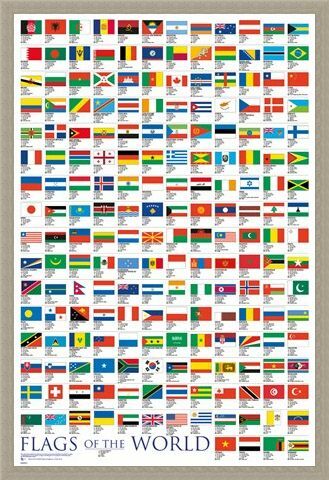 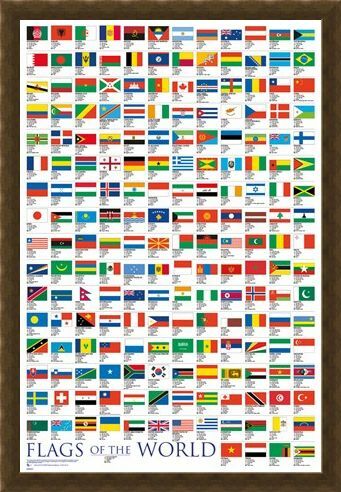 Packed with over 150 colourful flags of the world, this easy to read poster will educate you from north to south and east to west. 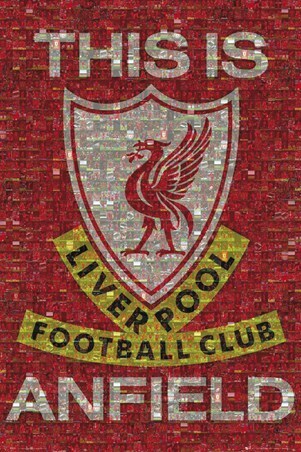 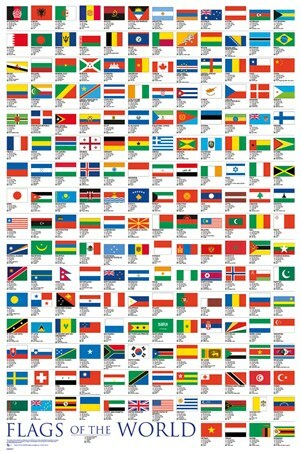 Each bright flag has the name of the country above it so that you can easily see where these flags fly all year round. 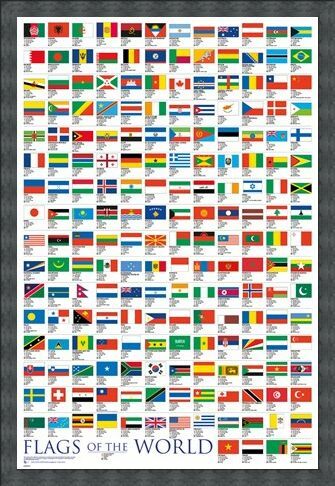 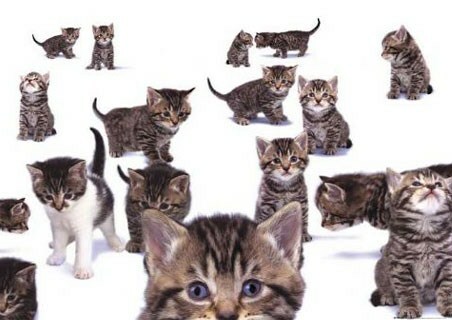 So whether you are a student or just looking to learn more about the world, this excellent poster is sure to make an insightful addition to your wall. 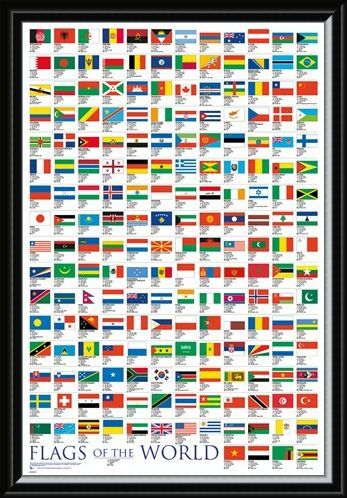 High quality, framed Flags Of The World, Educational poster with a bespoke frame by our custom framing service.